The creme de la creme of country music will descend on Templemore for a terrific night of music and dancing in aid of the ladies football club on Tuesday, April 9. 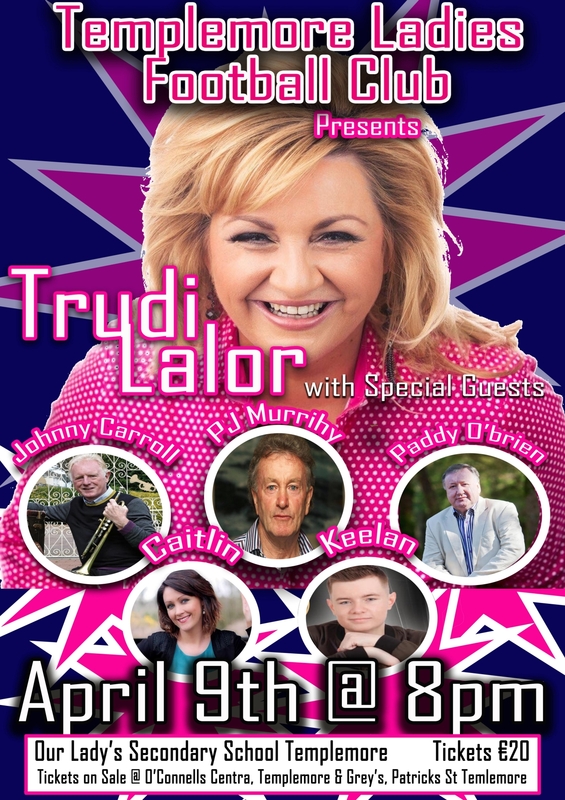 Following the success of 2018’s country music night, organisers are thrilled to announce the return of Trudi Lalor as the headline attraction. Trudi will be joined by a host of great artists including Johnny Carroll, Paddy O'Brien, Keelan, Caitlin and PJ Murrihy supported by Theresa & The Stars Band. Funds raised through the event will go towards the development of Templemore Ladies Football Club. The club currently have a ground sharing arrangement with Our Lady's school for use of their pitch, however this pitch needs development. Rear goal nets were installed in recent weeks and work has started on upgrading the toilet and changing areas. A great measure of the clubs success is the increasing membership, currently in excess of 160. 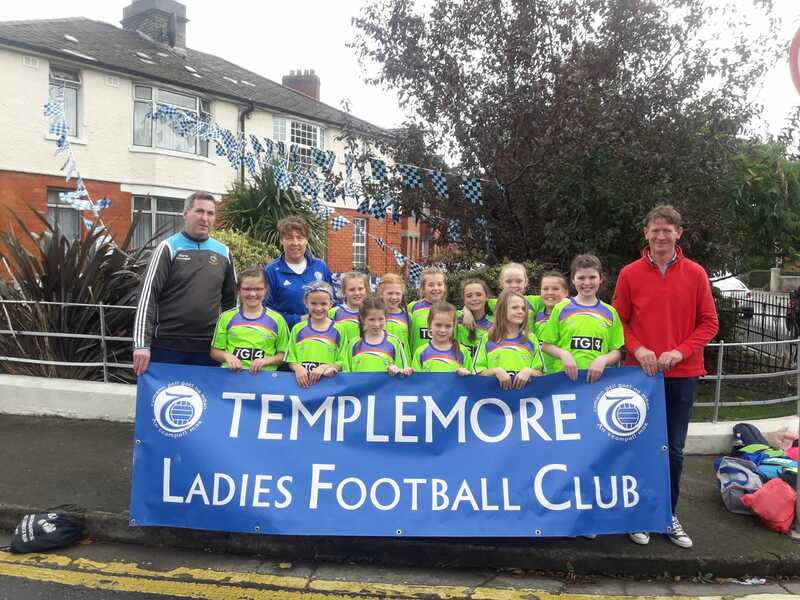 The club is the largest ladies football club in Tipperary, catering to girls/ ladies from six years of age to senior level and continues to grow and attracts members from Templemore/ Clonmore/ Killea, Loughmore/ Castleiney Clonakenny, Drom & Inch and Borrisoleigh. Tickets cost €20 and are available from O'Connell’s Centra and Greys Templemore. Tickets are also available by calling 083 4573743. For further information visit Templemore Ladies Football Club on Facebook.